International Human Rights Day this year witnessed the highest Court of the country pronouncing a judgment that is being condemned as a blow to a most basic civil right, the right to vote and contest elections. The Bench, comprising Justice J. Chelameswar and Justice A.M. Sapre upheld the validity of Haryana Panchayati Raj (Amendment) Act, 2015 (Act 8 of 2015), which interalia introduced the minimum educational qualification for candidates to contest the Panchayat elections. It held that both the rights namely “Right to Vote” and “Right to Contest” are not fundamental Rights but only constitutional rights of the citizen. According to Senior Advocate and former Additional Solicitor General, Ms. Indira Jaising, the judgment effectively endorses an exclusionary principle, which disenfranchises 68% of Scheduled Caste women, 41% of Scheduled Caste men and over 50% of all women in Haryana from contesting a Panchayat election. “Perhaps the public messaging on the Swachha Bharat campaign has entered so deep into the consciousness of the court that it has become its most prominent ambassador,” she adds. A glimpse of Mr. Nayak’s apprehensions were brought to the fore by the Indian Express, when it published the tale of the residents of Nimkheda, a small settlement of 1,674 people in Haryana’s Mewat district, soon after the judgment was delivered. This community had created history 10 years ago by electing the country’s first all-women gram Panchayat. The village has been showing significant development after the historical election. The literacy rate has escalated, and the practice of female foeticide and infanticide has been discouraged. The Apex Court however discredits them of their attempts at betterment of their people with its statement, “it is only education which gives a human being the power to discriminate between right and wrong, good and bad”. None of the 10 Panchayat members is eligible to contest elections after the Supreme Court judgment. Further, the three seats reserved for women in the gram Panchayat may also go unrepresented, only a handful of the female adult population would qualify for the elections. Another such instance is that of Rajbala, the outgoing sarpanch of village Sultanpurian in Sirsa who had studied till Class 4. The village won the swachh village award from the Haryana government. Rajbala is however, ineligible to contest again. The judgment compels a diversion to the obtrusive functional administrative inadequacies of the country. The Court’s dubious logic in permitting entrustment of the reins of power to the ones with formal education, at the cost of the experienced ones exposes the inherent Indian ideology of equating education with intelligence, and degrees with competence. 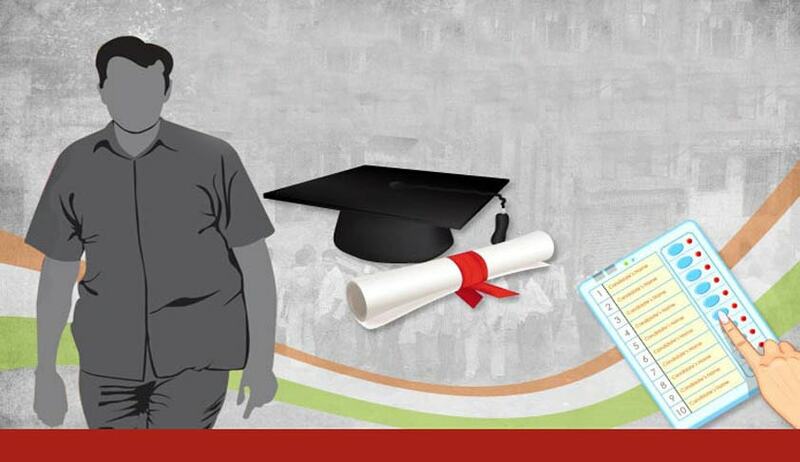 While formal education does provide perspective, disregarding traditional, informal education alienates the ingenious Indian representative of the masses.